We deliver leaflets to homes and businesses across Flintshire and Denbighshire including the popular villages of Mold and Ruthin every month. Excellent rates. Our deliveries include small businesses too! Give Trevor a call on 01824 707013 or visit our contact page here to find out more. 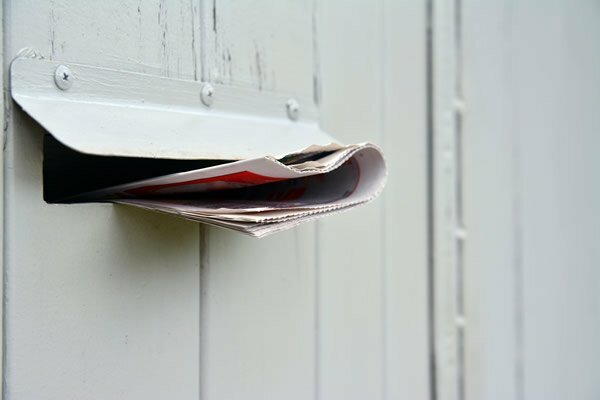 Yes, we can deliver leaflets for you with our magazines at very competitive rates. You decide how many homes and businesses across Flintshire and Denbighshire you want to reach. From 1000 up to 16.500. We never have more than 3 leaflets and NEVER have competing leaflets e.g. there would never be 2 menus delivered at the same time. If you're business is a restaurant or takeaway and you have a menu which you want delivered to homes and businesses our leaflet delivery service could be perfect for you. We only deal with local homes and businesses across Flintshire and Denbighshire and include all the key villages including Mold, Ruthin and Graigfechan.